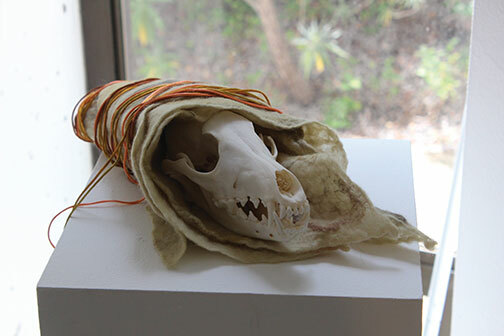 The Irwin Scholarship is a $2,500 award granted to 12 fourth-year art students through faculty nomination. 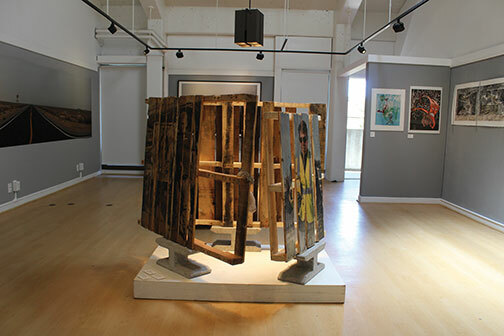 At the end of spring quarter, the students display their work at the Porter Sesnon Gallery. This year, however, their work spanned two additional galleries — the Fellows Lounge and the Sesnon Underground. Photography, metal work, documentary films and sculpture were just some of the mediums used by the artists. This scholarship provides a unique chance for students to create artwork that may be difficult to afford on a college student’s budget. As a student and filmmaker myself, I find it inspiring that these students took on the daunting task of creating in-depth work for such a large installation. The arts division has a handful of scholarships across disciplines, but none are on the same scale as the Irwin Scholarship. This year’s exhibit, “Origins & Perceptions,” is on display until June 13. “I Love Coyote and Coyote Loves Me” by Nesho Dimov is one of the smaller pieces in The Sesnon Underground. Its location near one of the few windows privileges it with sunlight, highlighting the shape of the skull and the cloth surrounding it. 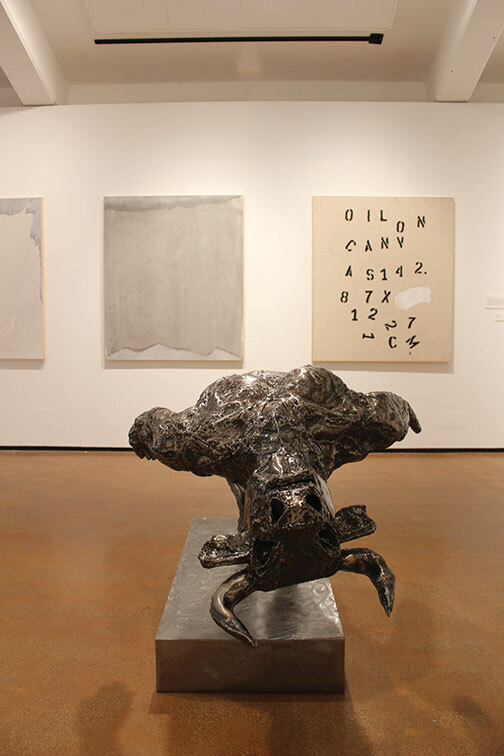 Made from recycled steel, Alex Khah’s “Inspiring Nafs” stands in the middle of the first room in the Sesnon Gallery. It is one of the most striking pieces, as the half-man, half-bull statue appears suspended in space and time. Three wooden palettes located in the Fellows Lounge have inlaid photographs of Latino laborers and each palette is named after them — “Cynthia,” “Francisco” and “Pedro” are by Edward Ramirez.